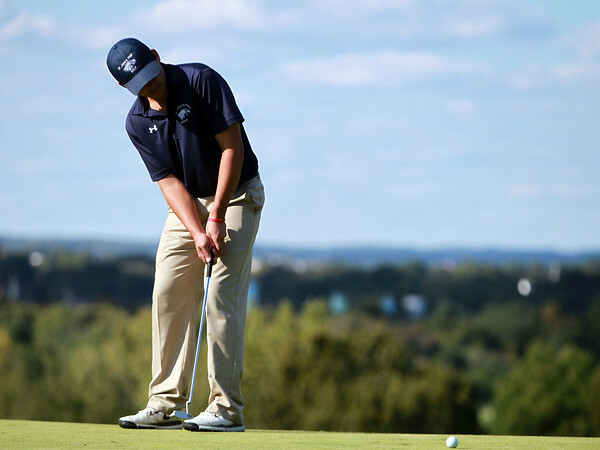 St. John's Prep senior Collin Natale putts against Peabody on Wednesday afternoon at The Meadow at Peabody Golf Course. DAVID LE/Staff photo. 9/17/18.